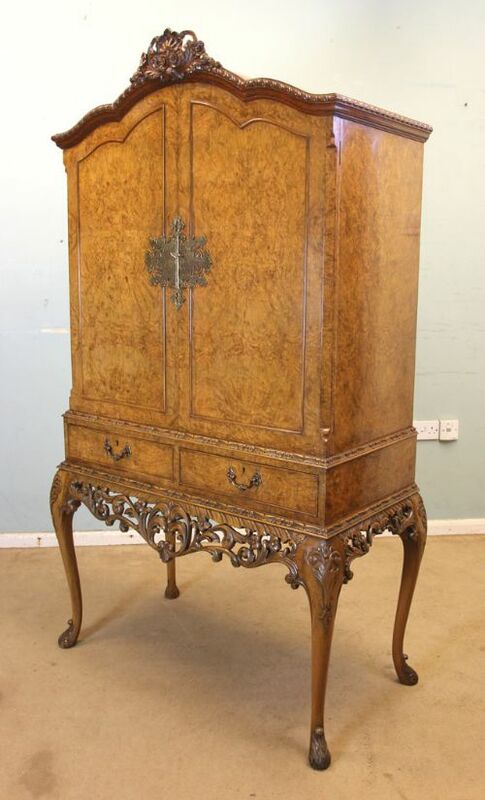 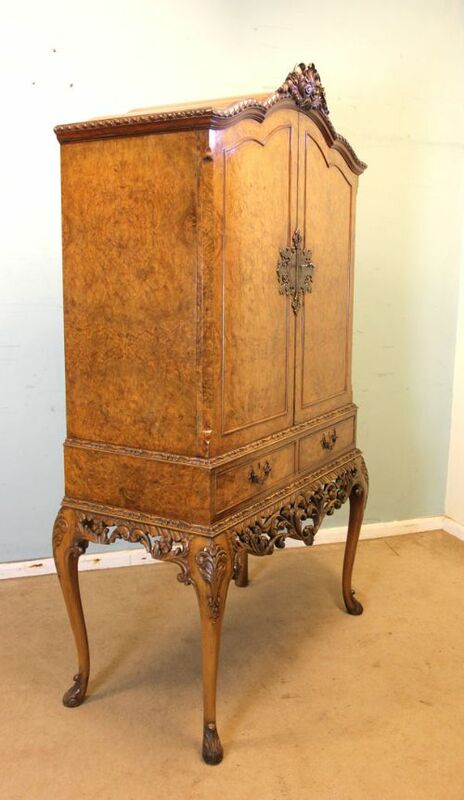 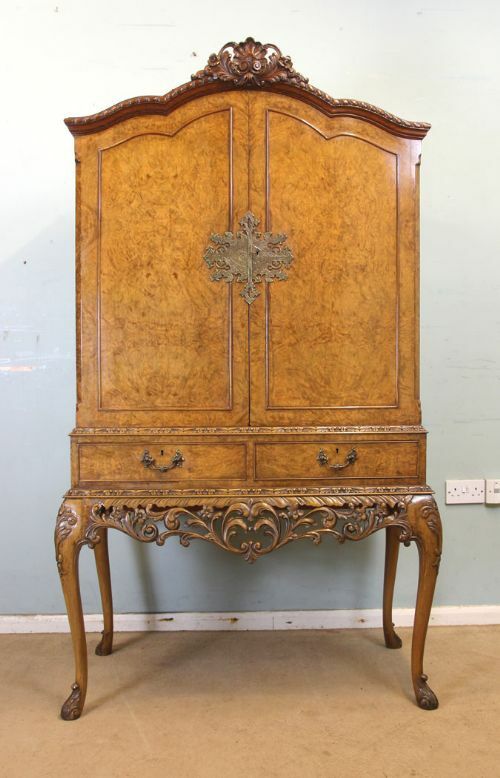 Quality Antique Burr Walnut Cocktail Drinks Cabinet. 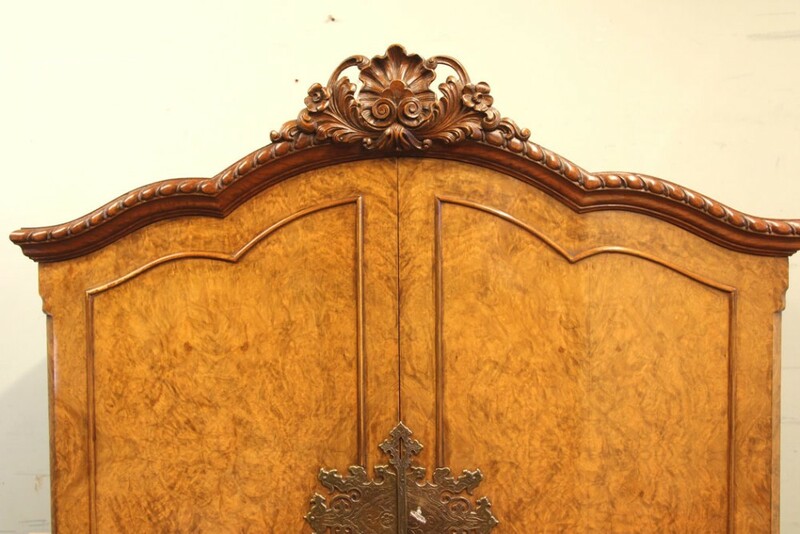 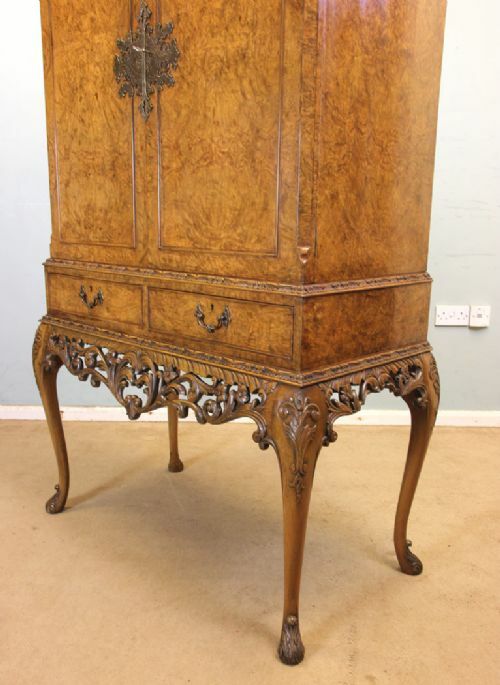 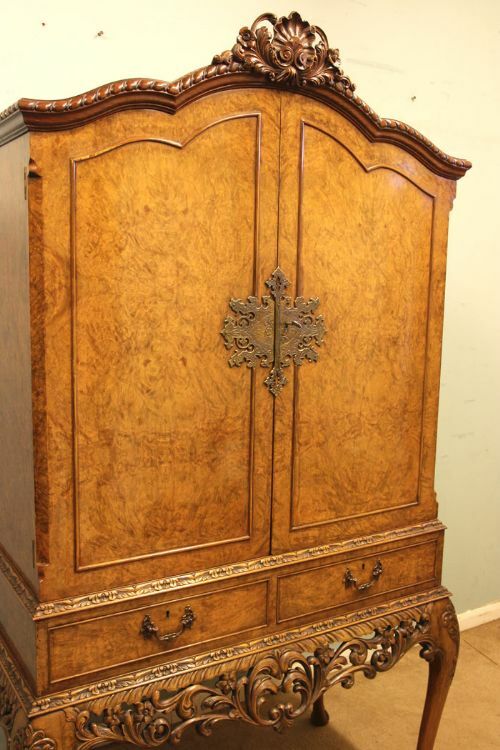 This wonderful quality burr walnut cocktail drinks cabinet has shaped carved edge to the top edge with a centre carving. 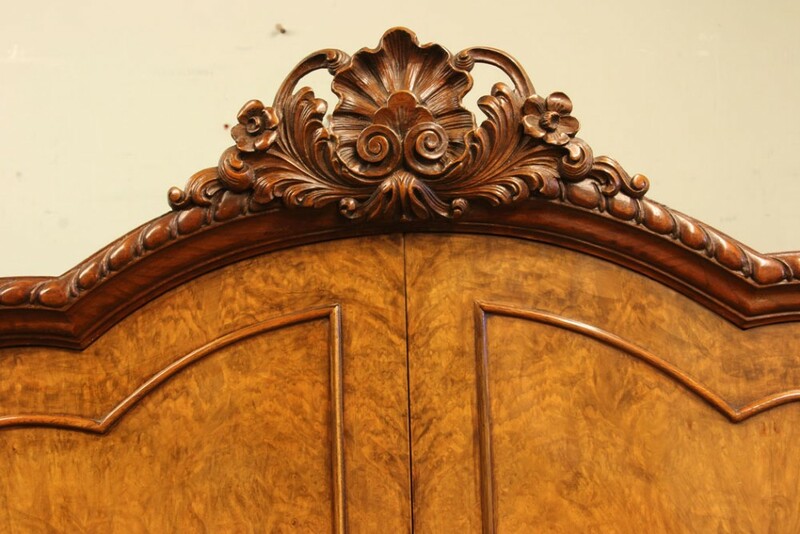 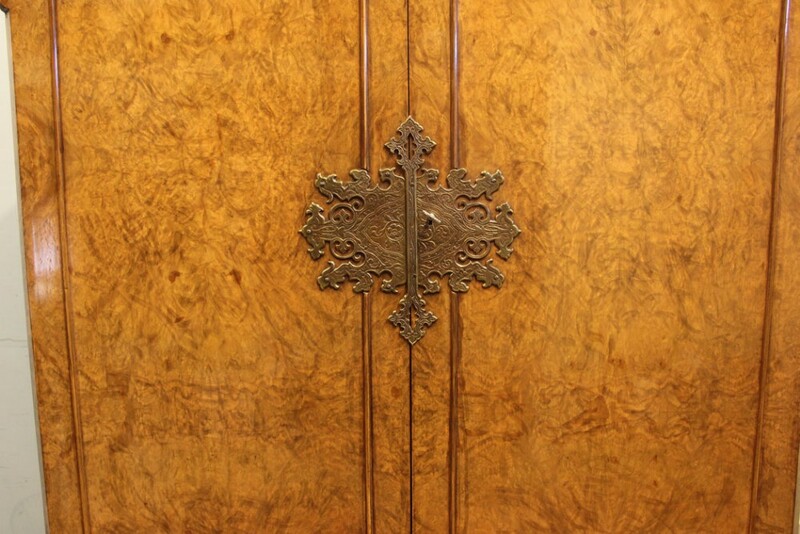 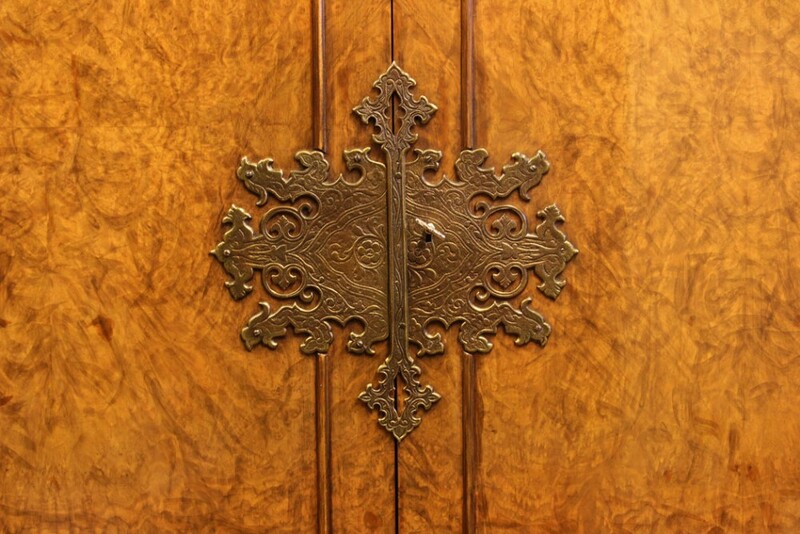 Under having two shaped doors with superb figured walnut door fronts and sides the centre has a decorative brass lock plate. 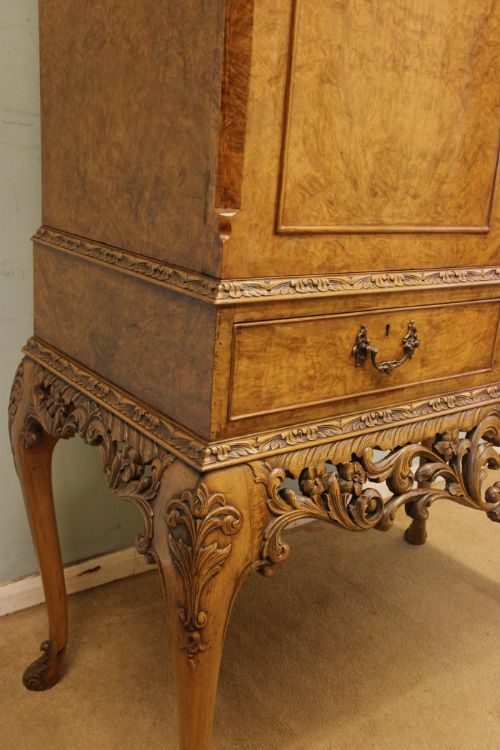 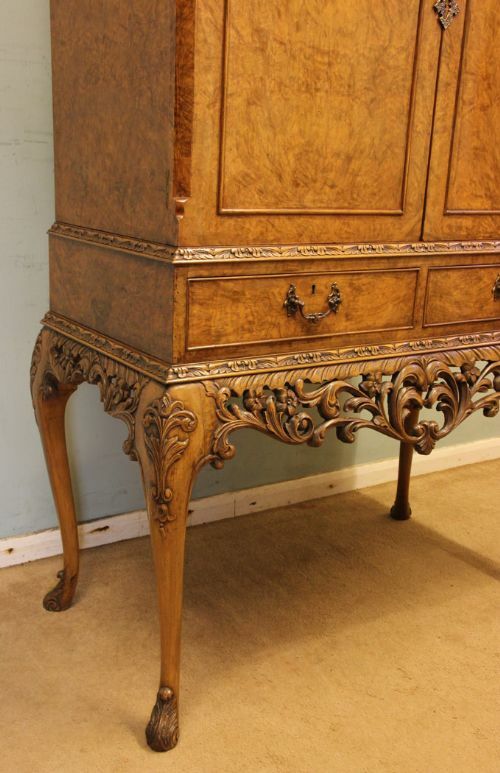 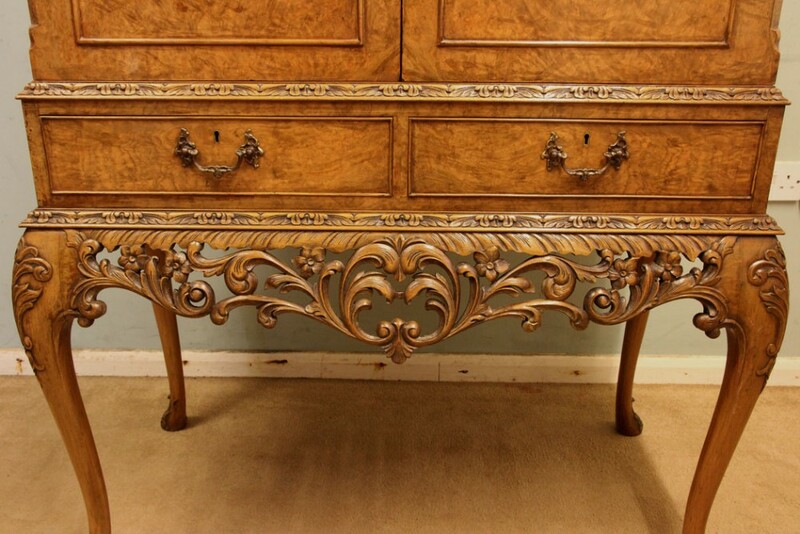 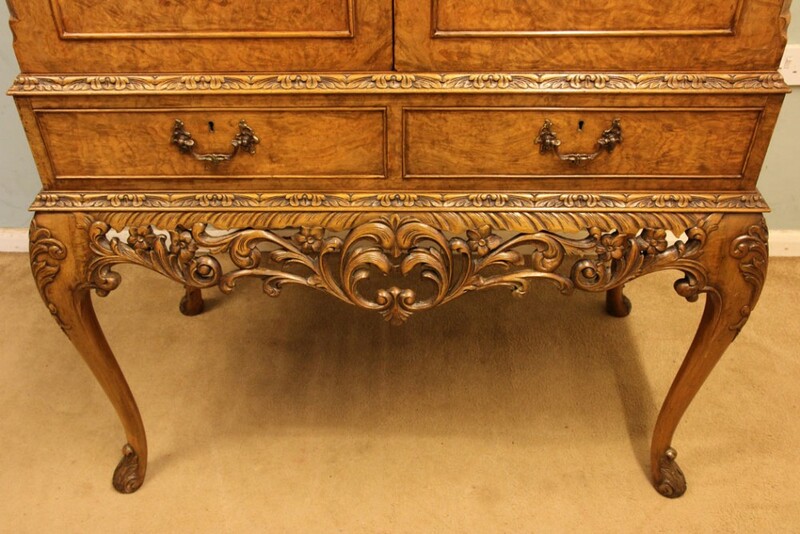 Under having two burr walnut drawers with a well carved scroll decoration standing on queen anne style legs. 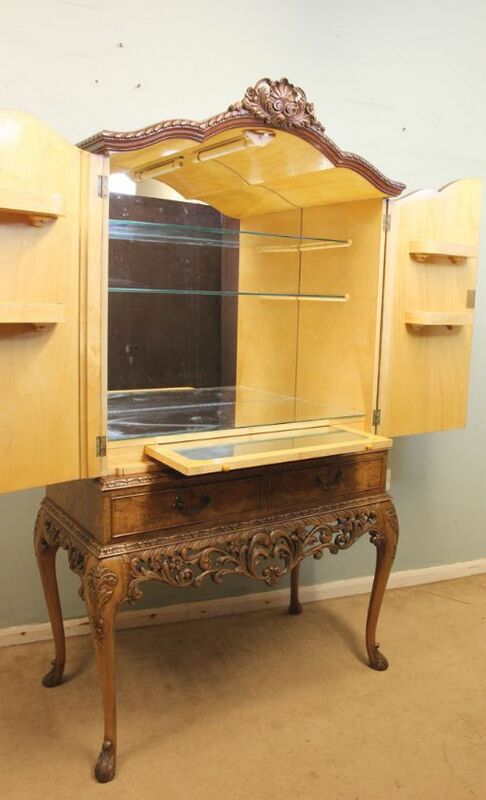 The interior has two glass shelves with pull out mirrored slide and mirror back. 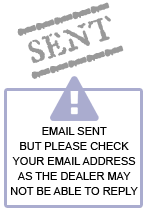 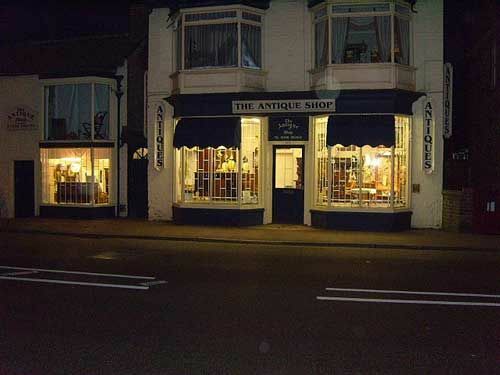 To VIEW all our current stock please click VIEW STOCK PAGE or click THE ANTIQUE SHOP under Seller Details at the bottom left of the page. 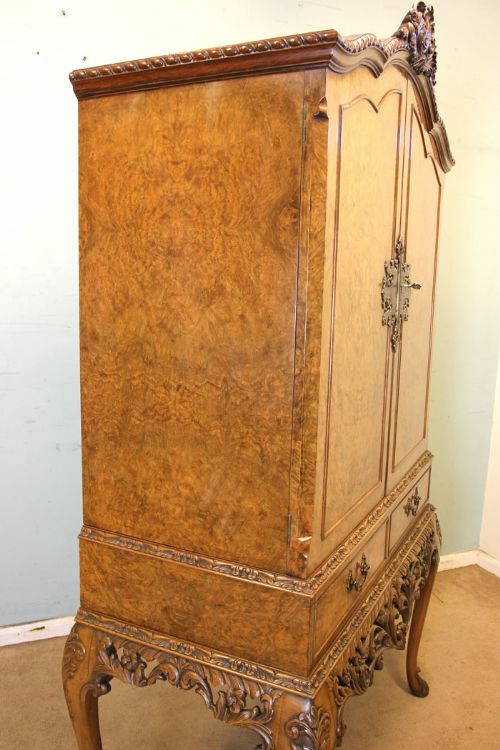 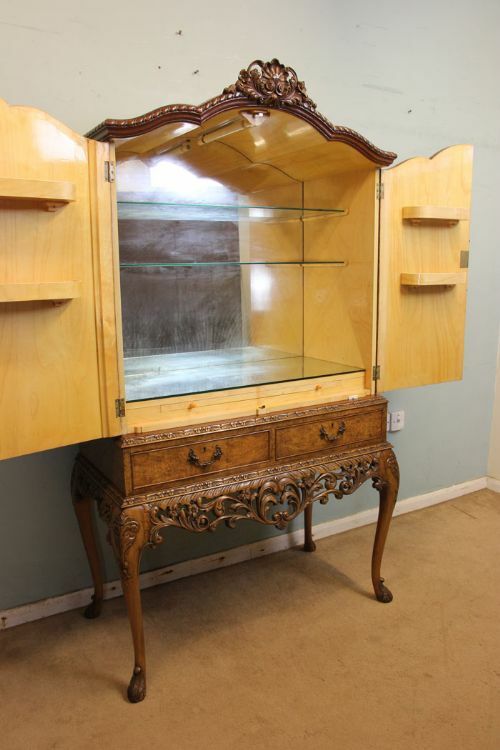 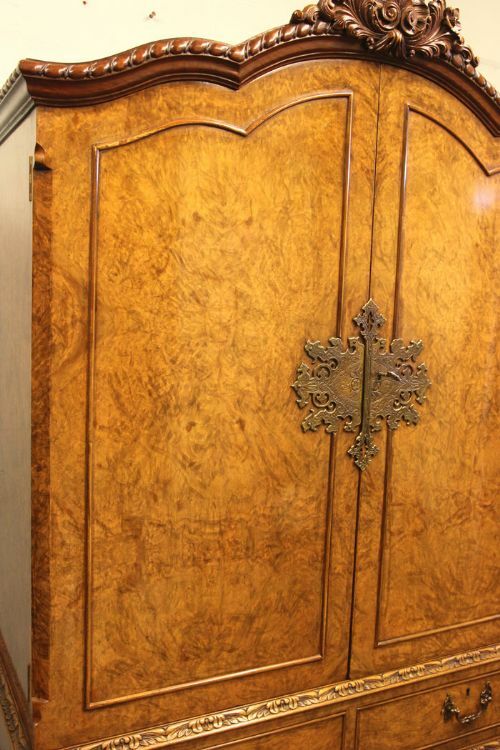 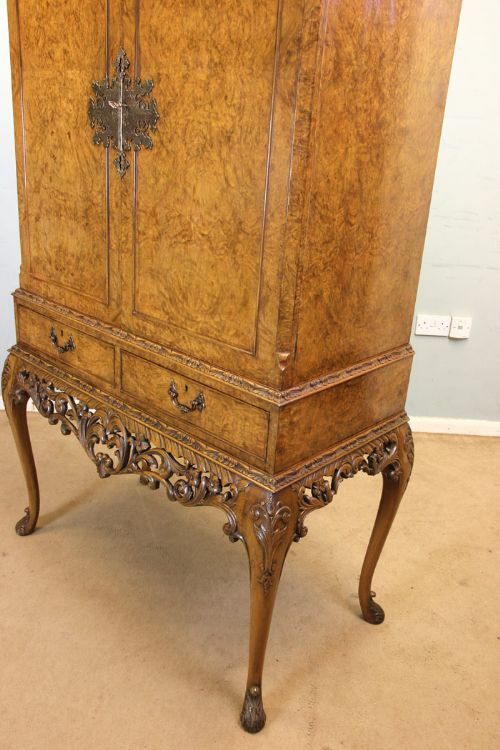 The Quality Burr Walnut Cocktail Drinks Cabinet has been added to your saved items.